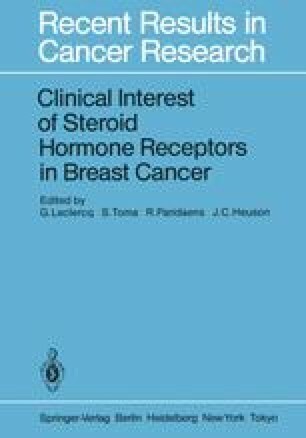 It has been known for a relatively long time that progestogens, and especially medroxyprogesterone acetate (MPA), induce objective regression of the neoplasia in women with metastatic breast cancer. Some authors have recently reported [1, 7–9] that the response to MPA may be increased by employing high daily dosages. On this basis, we tested different dosages of MPA in patients who had become resistant to combined chemotherapy. Furthermore, we correlated the response of the patient with estrogen receptor status of the tumor.